Now you can check online for the status of your items submitted for certificates anytime – 24/7. Step 1 – log in by entering your email and password at the top right of the screen. 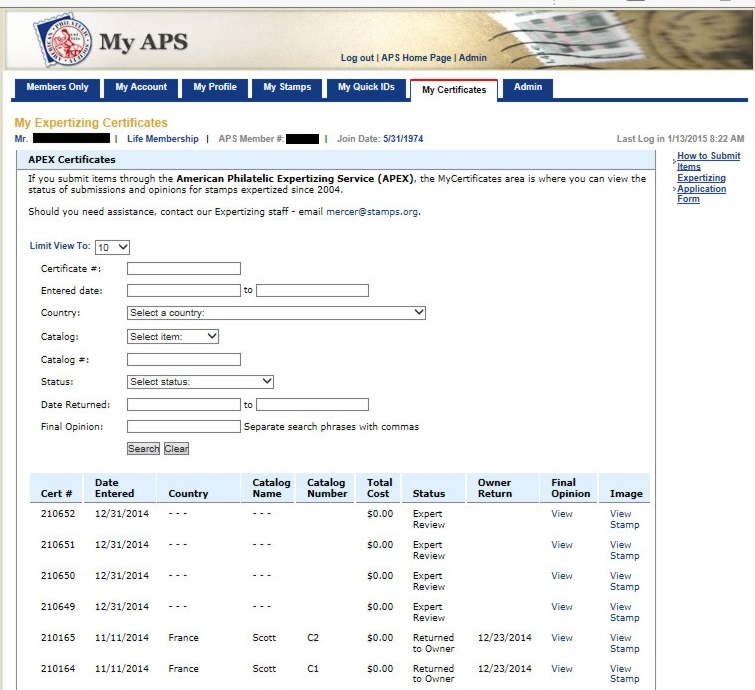 If you do not have an APS web account you will need to establish one by hitting on "New Signup" in the log in area above. Step 3 – See the current status of your items. You will also have complete access to the stamps and covers you’ve previously submitted to APEX and see the opinions.